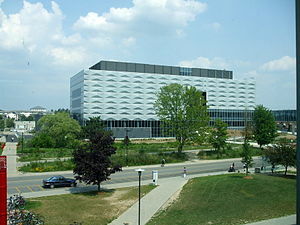 One of Waterloo Engineering’s major features for the past 50+ years has been the co-operative education system (“co-op”), where students alternate every 4 months (more or less) between academic classes on-campus and relevant work experience somewhere out there in the “real world”. In our system, Engineering students get 6 work opportunities, therefore 6 x 4 months = 24 months of work experience before graduation. There are various websites available giving more information and other details, including this one or this one. Over the years I’ve heard a number of comments and questions about co-op, and thought it might be useful to summarize some of the common and interesting ones here. If I’m in co-op, I won’t get the summer off? Yes, that’s true! You will either be in classes (our buildings are air-conditioned! ), or working somewhere during the summer. But logically, even if you went to some other university without co-op, wouldn’t you be working all summer to help pay for your tuition and other expenses? Or at least to get some sort of experience before graduation? When do co-op students get a break if they are always working or in school? Most students will find one or two weeks between terms for a break. Since there are 3 terms per year, that’s a total of 3 to 6 weeks, which seems pretty good to me. Many hard-working parents don’t get that much vacation time per year. A 12 or 16 month internship is better than a series of 4 month co-op workterms. You can find various online arguments about the pros and cons of internship versus co-op systems. If one system was clearly better than the other, one would have disappeared years ago. They are just two different approaches to the same goal, i.e. getting some “real world” experience for students as part of their education. I will never argue that co-op is “better”, because for some people it may not be a good choice. That comes down to a personal decision, so we just present the facts and let people decide for themselves. If you ask our students however, they will very often say that they liked having the opportunity to try out up to 6 different work experiences. The variety of experiences certainly helps to fill out their resumes by the time they graduate. All schools have co-op now, so what’s so special about Waterloo? Yes, most engineering schools in Canada now have co-op or an internship program (what is that old saying about imitation and flattery?). I will not claim that Waterloo’s is better than all the rest. Each prospective applicant should determine on their own which one is best for them. But if you are interested in attending an engineering program with co-op or internship experience, you will want to make sure that the university is putting some serious effort into making that work for you. What fraction of your engineering graduates have completed a co-op degree? (100% at Waterloo). How many engineering co-op placements take place each year? (over 6,000 at Waterloo). How many co-op advisors and personnel does the university employ to help with the process? (roughly 150+ at Waterloo, although not all work directly with engineering). Maybe bigger isn’t better, but I think it is an advantage to have access to a large variety of job choices in many regions. It’s also good to know there is a strong support network of faculty, staff and other co-op students to provide suggestions and advice. First year university is too early to start co-op. Students don’t know anything useful and can only make photocopies. I hear this every year, usually from a parent who attended an open house at certain other universities. I guess those universities don’t have a very high opinion of their first year students! The fact that first year students have been getting co-op jobs for the past 50+ years must mean that someone finds that they are useful. I’ve had several first year students in my research lab over the years, setting up experiments, running analytical equipment, doing data analysis, and working quite independently after some initial training. They are bright, enthusiastic, motivated, fast learners,…everything you would want. They often work in the lab at a level equal to a graduate student, just with less experience and academic background of course. People shouldn’t underestimate what a good, motivated, first year student can do with the right supervision. Waterloo won’t guarantee that I’ll get a co-op job? No, just like we won’t guarantee that you’ll pass all your academic courses either. We can provide lots of support for resume writing, interviewing, job search strategies and career development, but ultimately it’s up to the student to put in the necessary effort and convince one of the employers to hire them. What if I don’t get a co-op job? There are 6 work opportunities, but only 5 are required for graduation. So you can miss one if necessary. But our co-op employment rates are often over 95% (better than the “real world”), so no point in worrying excessively. Persistent unemployment happens to a few students, but our advisors work with them individually to help overcome whatever issues that are holding them back. Everyone is nervous about getting a job, especially that first one. It can be stressful, but with some effort and our help it usually works out OK. If I don’t like co-op, can I transfer out of it? Yes, but only if you leave Waterloo Engineering for another program or university. We don’t offer a non co-op version. The entire structure of our engineering program has been designed around co-op education, right from the start in 1957. Waterloo’s program takes 5 years to complete! Technically it’s 4.67 years, but yes it is still 1 year longer than a regular engineering program elsewhere (i.e. one with no co-op or internship). I consider this to be quite a good deal, since you get 2 years of work experience with only 1 year of extra time; sort of a 2 for 1 deal. Do the co-op jobs have to be in the Waterloo area? No, they can be anywhere around the world (except for certain unsafe areas, like Afghanistan). Some are in Waterloo, lots in Toronto and other major Canadian cities, a bunch in California and Washington state, some in Boston & New York (etc. ; I think there is a list around, but can’t find it right now). Some in more exotic locations too, like Nunavut. Can I get my own job if I have connections? Certainly. If you have a family business, friends, connections, etc. with a good job to offer, there is a procedure to have it checked out by our advisors to make sure it is suitable and relevant, so that you can get credit for it. Some entrepreneurial students even create their own jobs in our Enterprise Co-op program. A four-month work term is too short to do anything significant. If this were true, you would think that companies would have noticed it over the last 50 years. Or maybe saving a company $1 million a year isn’t significant? Why would companies pay senior co-op students $800 to $900 per week for insignificant work? I guess this could be true in certain companies or circumstances, but not for the 6,000+ placements that we make each year. It is possible to return to the same company for more work terms to work on more parts of a long-term project. Sometimes, a 4 month work term can be extended to 8 continuous months. We try to be flexible. What if I don’t like my job or have problems with the company? That happens from time-to-time. That’s why we have all those co-op advisors that students can contact anytime for help. They can provide advice and perhaps mediate problems if necessary. In extreme cases, like when the company suddenly closes, they will work with the student to try to find them another placement. If it’s just a matter of not liking the job, just hang in there and make the best of it. It’s only 4 months and you can try something different next time. I’ve heard that Company ABC won’t hire Waterloo co-op students. Well, maybe. We can’t make companies hire our students, and probably some decide it doesn’t fit with their corporate structure or goals, or they don’t like the process, or something. I’ve personally met companies that don’t like dealing with Universities X, Y, and Z (no, I won’t name them). Whatever. This is just a normal part of life. That’s all I can recall at the moment. Maybe some other things will come up in the comments, and I’ll try to answer. Is it possible for graduate students or transfer students to take advantage of the coop program? For example I have a BSc in Computer Science from another Canadian University but would like to take advantage of these work opportunities. If I transfer to Waterloo and take some additional coursework then can I still participate in a work term? No, as far as I know co-op is only available to full-time undergraduate students. I start my co-op during my 2nd year (I’m in 1st year) but now I think I’d much rather prefer going into regular. I would just like to know if it is possible to have a study term back to back in Waterloo. Like I’ll never have to take a term off. That way I’d be done in 3 years tops. Is that possible though? I’m in the math faculty by the way. I’m not really sure. Engineering doesn’t have regular (i.e. not co-op) programs so I’m not sure what is possible. You should check with a math faculty advisor. My son is an Engineering student who can not find a co-op job. This is his first co-op term with University of Waterloo. I am very dis-appointed with the co-op system. I hear lots of first year student can’t find co-op jobs at Waterloo. What advice can you give us? The first co-op job is always the most difficult. He should keep trying and be flexible. The process continues throughout April, May and even into June if necessary, so that most students eventually get something. What if there is persistent unemployment for a student where he/she misses more than one work term? I know that 5/6 are required for graduation so does this mean that the student who misses more than one work term will be kicked out of Waterloo engineering? No, students aren’t kicked out for missing more than one work term, but their graduation will be delayed until they can catch up on the work experience. I just want to say that this is honestly so helpful, so thank you. I’m in 12th grade currently deciding between universities, specifically between UW and McGill, and co-op is a huge attraction for UW. It’s refreshing to hear the opinion of someone who actually knows what they’re talking about, without sounding like they’re trying to “sell” their university. Thanks. Yes, we don’t like to “sell” something to people where it might not be the best fit for them. It’s up to each individual to decide. I’m an international student and I intend to study Computer Science at Waterloo. I live very far from Canada. I was wondering if the any of the vacations/holidays are long enough for me to go visit my family back home. I think that most students are able to arrange at least one long-distance trip home per year between terms. It may be necessary to negotiate with an employer a slightly later start date for a job. Just want to know if you have any data about the delay of graduation of UW engineering undergrad students or transfer to other non co-op program because they can’t find the co-op engineering jobs ? Will that happen for particular engineering program? It is rare for students to not graduate because of a lack of co-op jobs. There are 6 co-op job opportunities in engineering, and only 5 are required for graduation, so there is some flexibility.